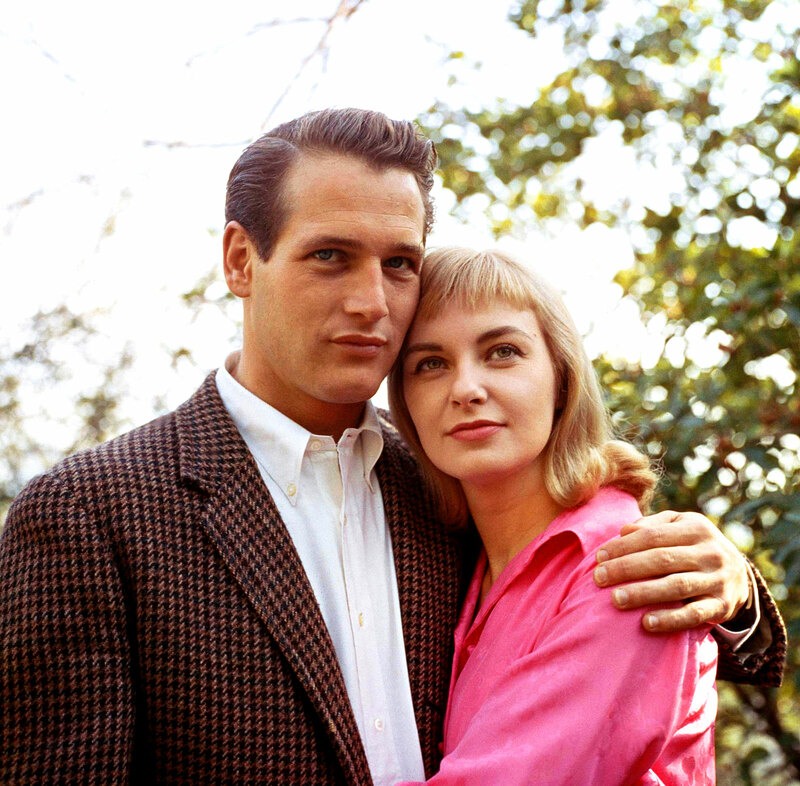 Paul Newman and Joanne Woodward starred in their first movie together in 1958 named The Long Hot Summer and the next two publicity shots are from that movie. When Paul Newman met and fell in love with Joanne Woodward, he was married to his first wife whose name was Jackie Witte. 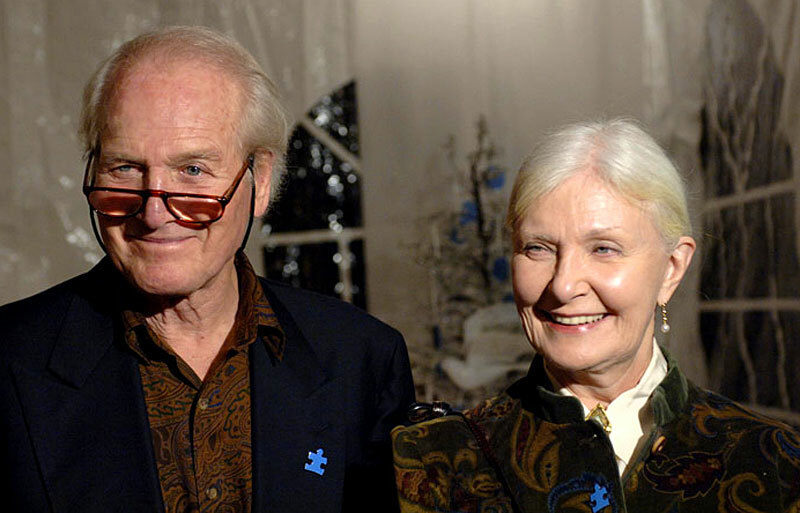 They were married in 1949 and divorced in 1958 and had a son and two daughters. 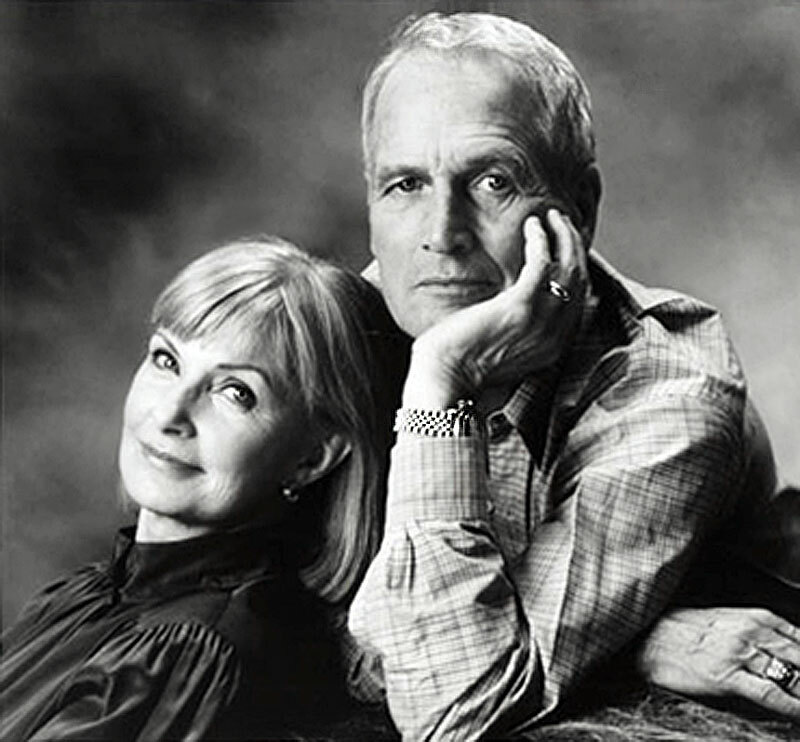 Paul Newman and Joanne Woodward were married on February 2, 1958 and they had three daughters. 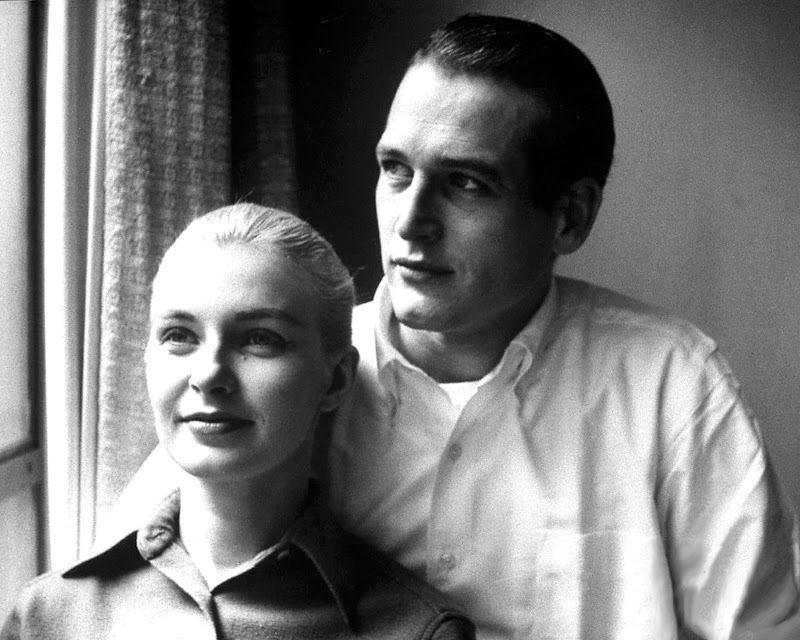 In an autobiography written many years later, Paul Newman revealed said that when he divorced his first wife he "Felt guilty as hell." 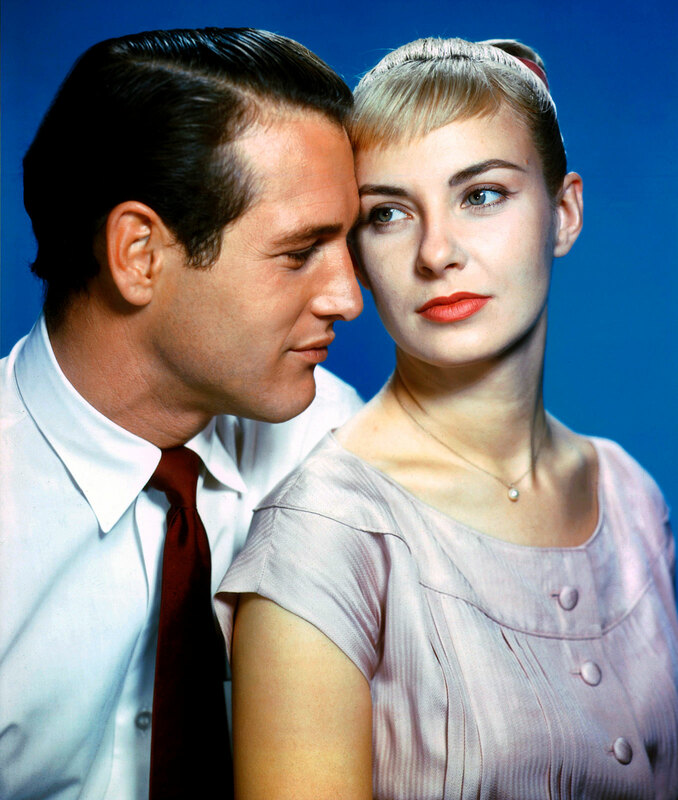 Paul Newman and his wife Joanne would go on to star in many movies together over the years including The Long Hot Summer (1958); Rally 'Round The Blog, Boys! 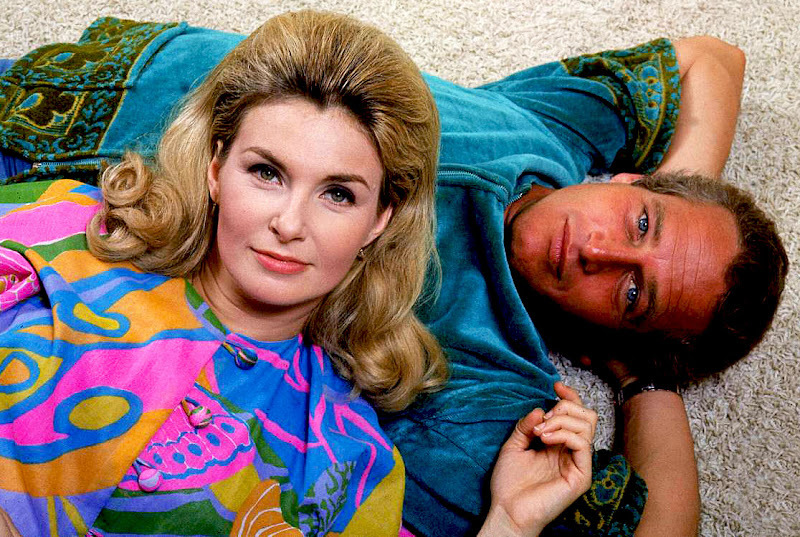 (1958); From The Terrace (1960); Paris Blues (1961); A New Kind Of Love (1963); Winning (1969); WISA (1970); The Drowning Pool (1975); Harry & Son (1984) and Mr. and Mrs. Bridge in 1990. 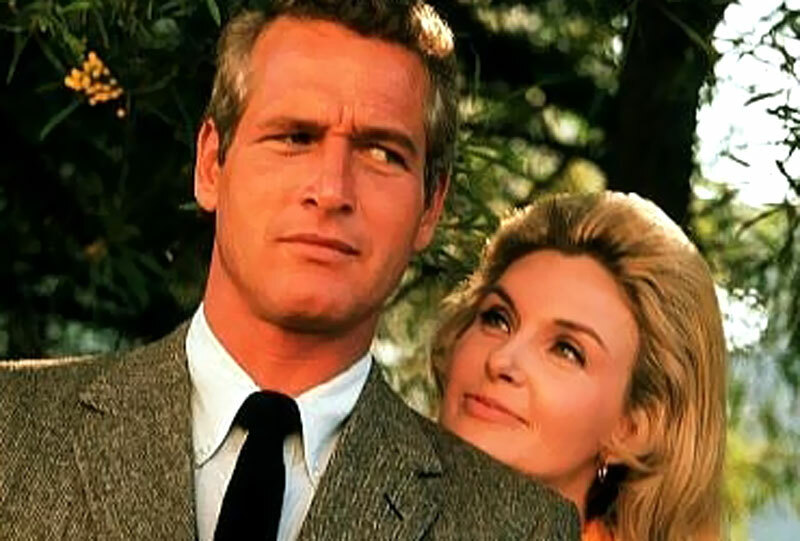 Joanne Woodward also starred in the following films that Paul Newman directed or produced but did not star in: Rachel, Rachel (1968); They Might Be Giants (1971); The Effect Of Gamma Rays on Man-in-the-Moon Marigolds (1972); The Shadow Box (1980) and The Glass Menagerie in 1987. 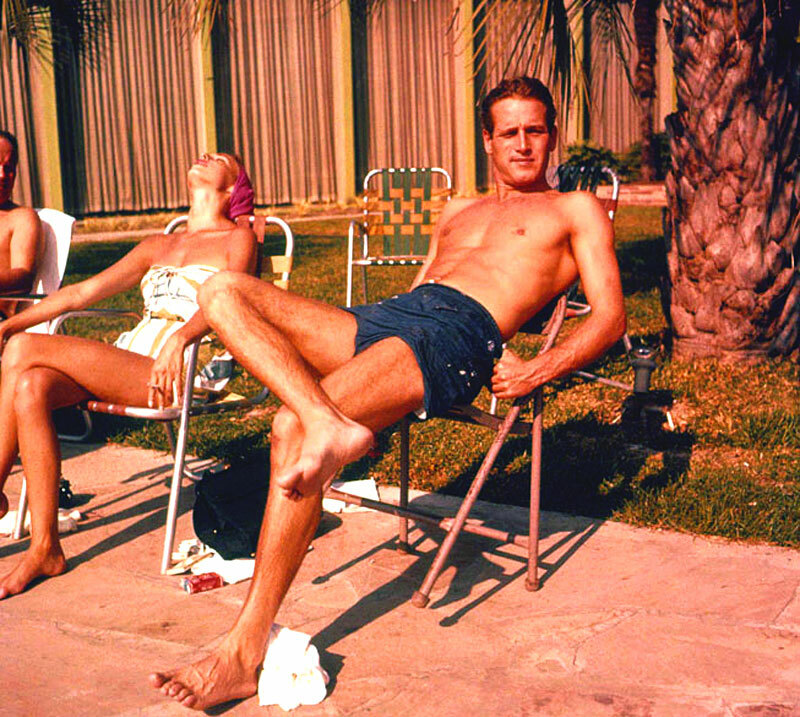 The Newman's did not live in Hollywood. 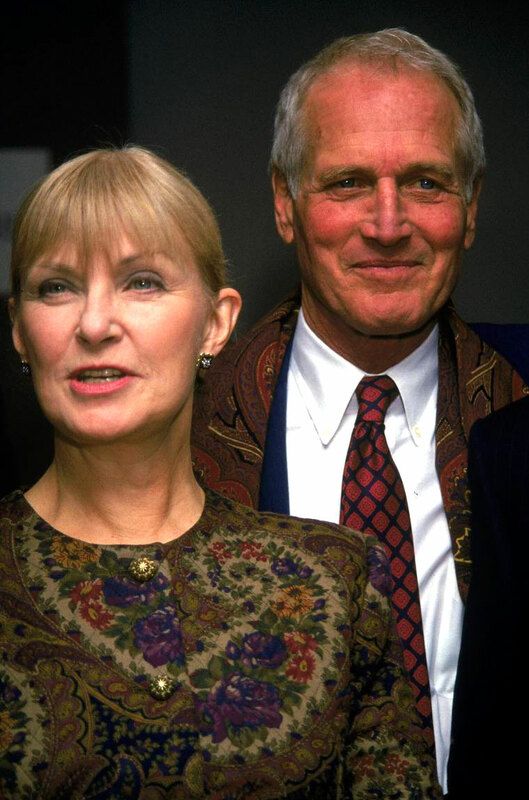 Instead they made their home in Westport, Connecticut. 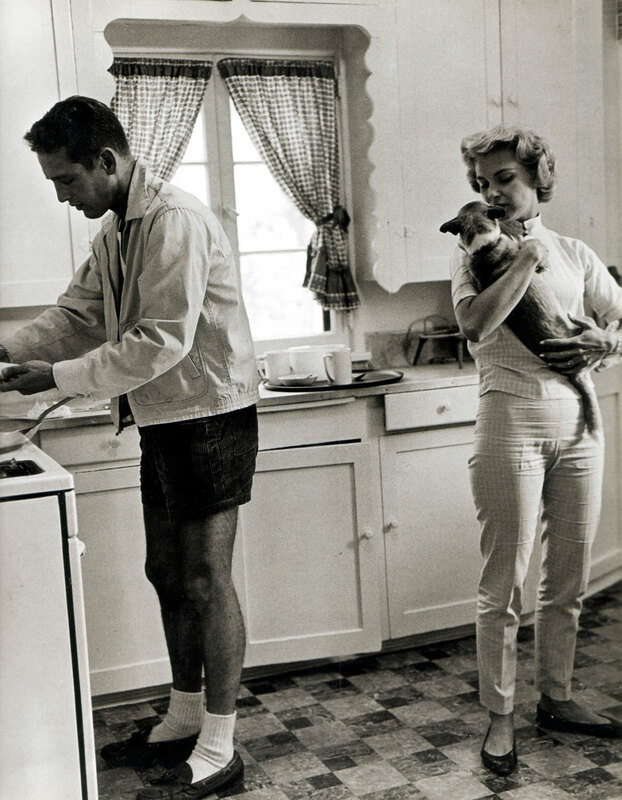 Paul Newman was known for his devotion to his wife, Joanne Woodard and his three girls. The photo below was taken in 1957 or 1958 and shows the Newman's studying the script for the upcoming movie Paul Newman would star in named, "Rally Round The Flag." 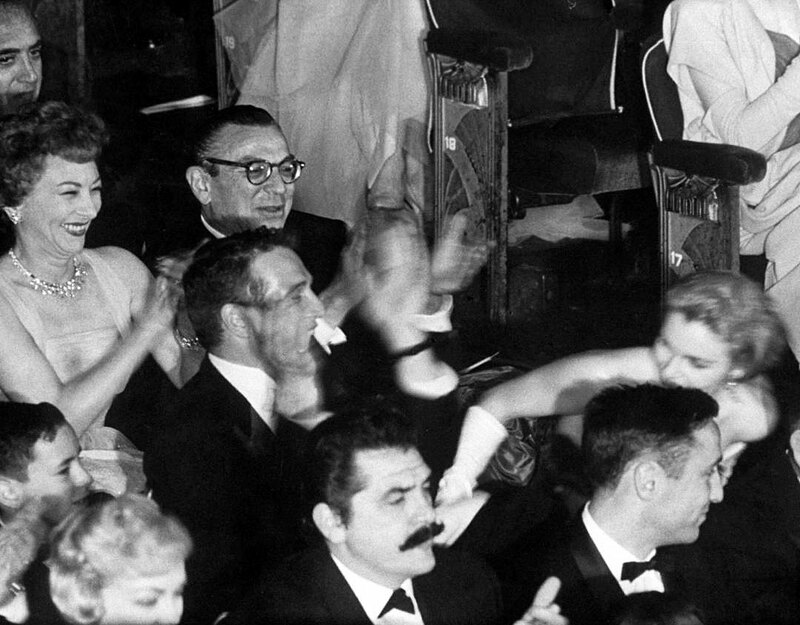 In 1958, Joanne Woodward won the Academy Award for Best Actress for her role in The Three Faces Of Eve and in the photo below we see her standing up to accept the award with Paul Newman clapping. 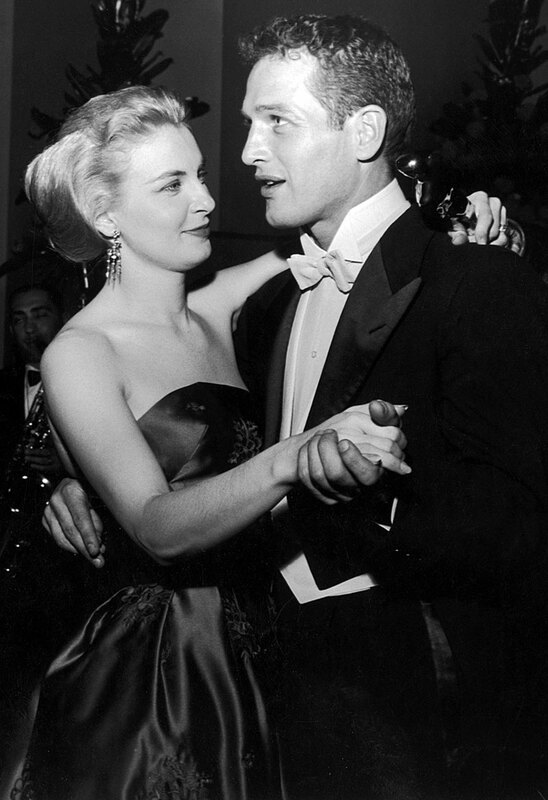 In the photo below we see Joanne Woodward dancing with Paul Newman at an Academy Award after-party. Notice the Oscar in her hand and the amazing smile on her face!!! 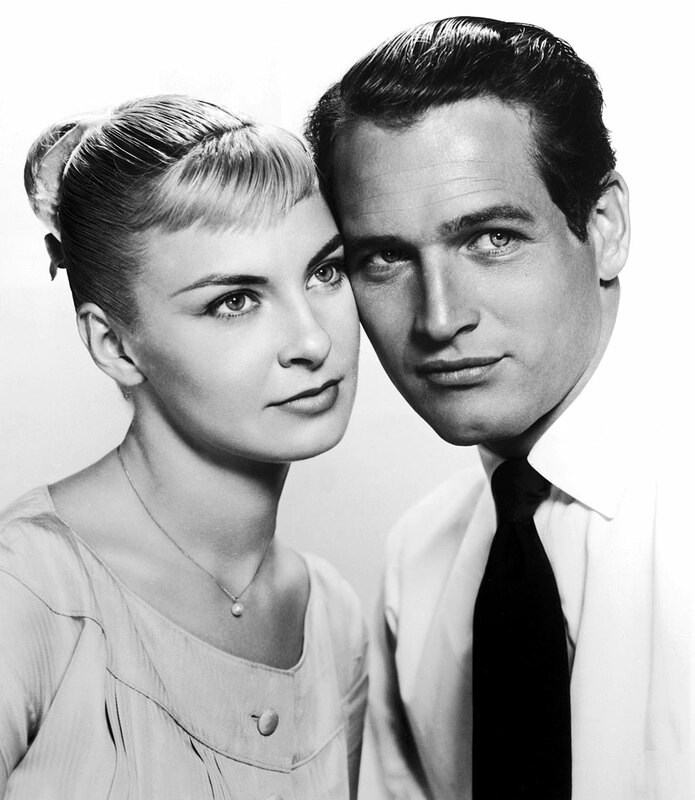 In 1959, Joanne Woodward co-starred in a movie with Marlon Brando named "The Fugitive Kind" and as we see in the video below, Marlon Brando talks about his Rolex Moonphase!!! 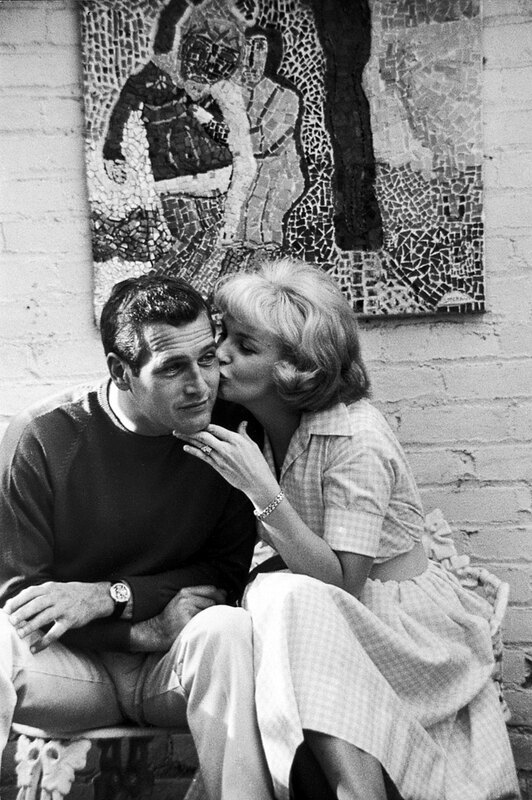 Paul Newman and Joanne Woodward starred in many movies together over the years. 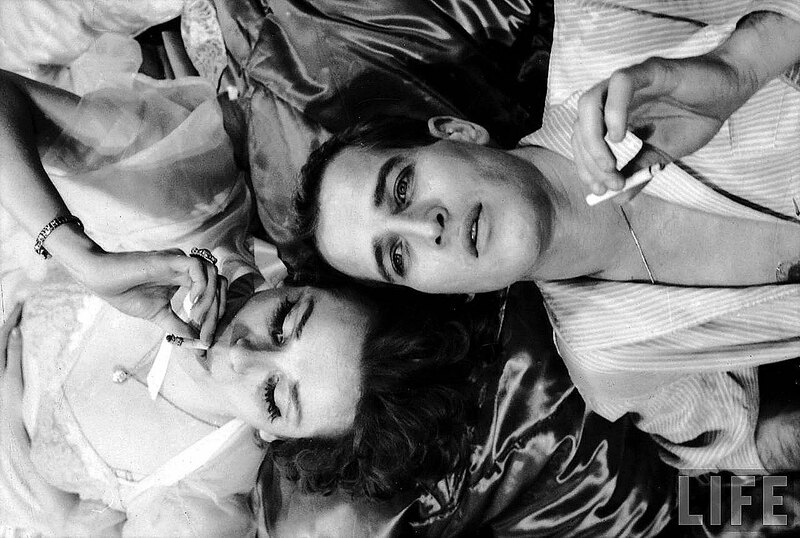 The photo below is from 1960 from the movie named "From The Terrace." 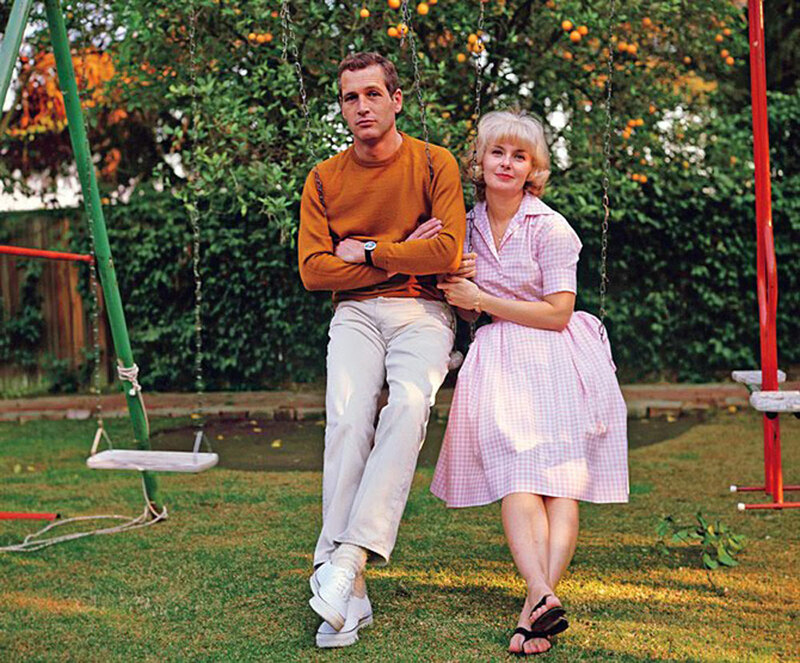 Unlike most Hollywood movie stars, the Newman's made the home in Greenwich, Connecticut and the next three photos are taken in their Greenwich back yard. The photo below is from People Magazine and it was taken in 1963. 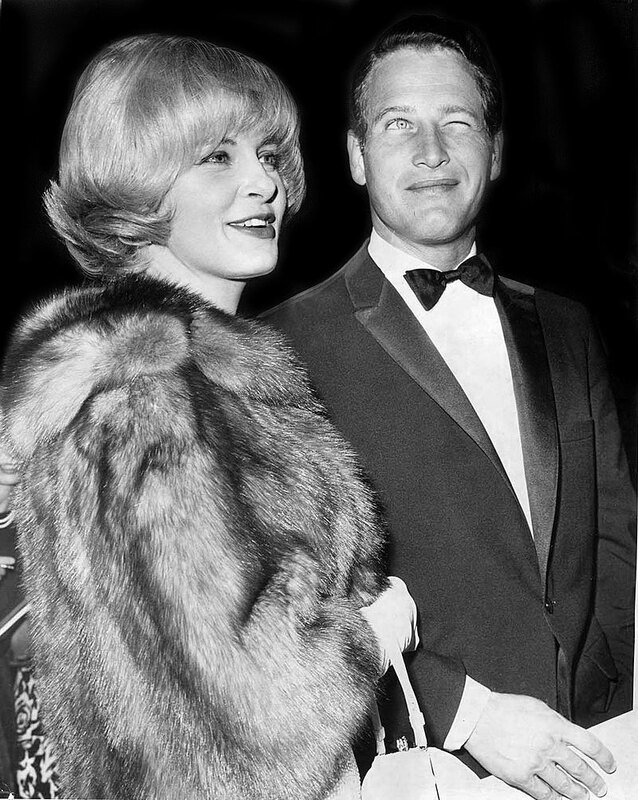 Racing car legend, Mario Andretti, who was close pals with Paul Newman said "It was so evident that they were madly in love with each other forever." 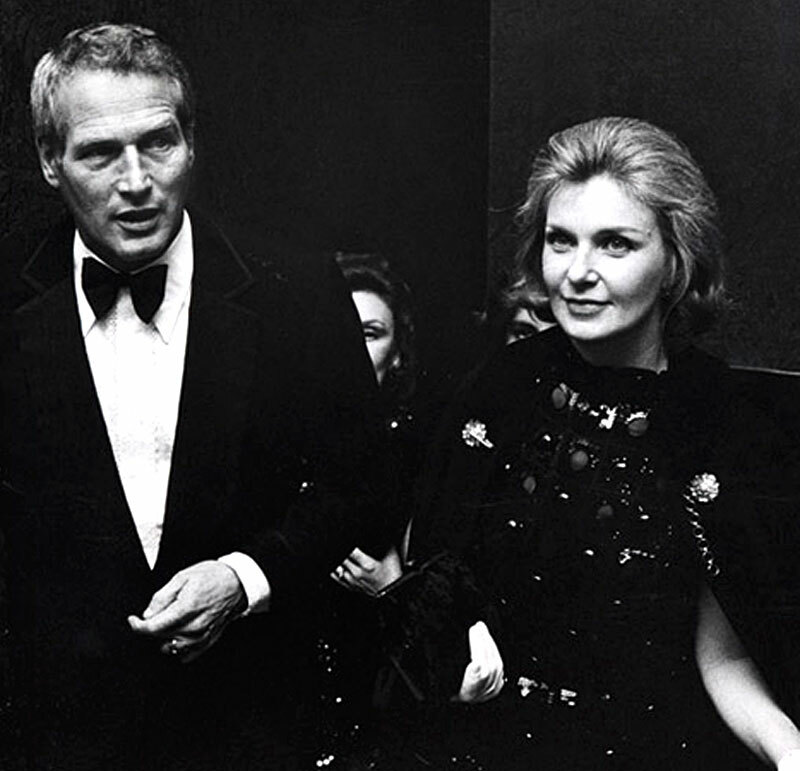 The photo below was taken at the 1973 at the Academy Awards where Joanne Woodward was nominated for the Best Actress Award for her role in Summer Wishes, Winter Dreams. 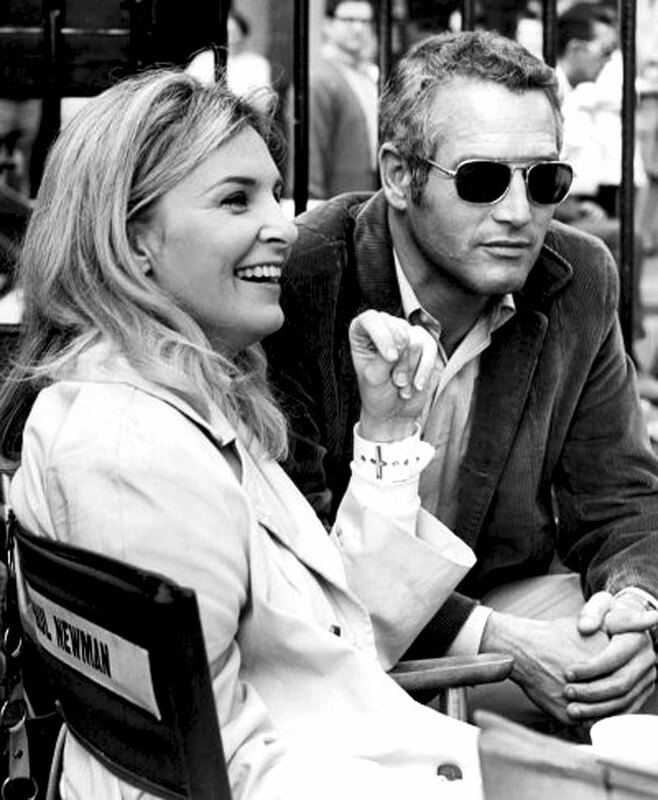 In the above photo we see Paul Newman wearing his original white dialed Daytona (Reference 6239 or 6241) on a Fatstrap and in the photo below we see him wearing his original black dialed Daytona (Reference 6263) on a Jubilee bracelet. 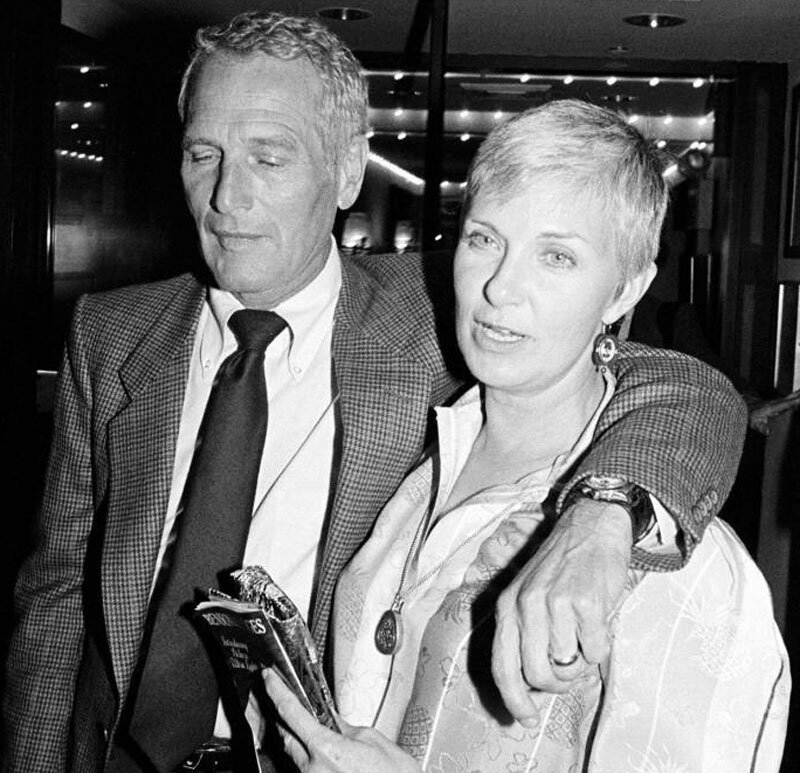 The photo below of Joanne Woodward and Paul Newman was taken in 1990. They had been married 32 years at this point.